The shoe story came to me as I was preparing to give a talk about fundraising at a higher education institution where I serve on the board. How could I explain to faculty and staff not involved (and, in some cases, not interested) in fundraising why it isn’t just begging? Most people don’t think of fundraising as serving a donor’s needs, and the notion of “fit” between donors and organizations is hard to describe. My mind wandered to a recent shoe shopping experience, and I decided to use that as a metaphor for how a donor thinks. First, what kind of shoes am I looking for? Why do I want them? What function do they need to serve? The answers could range from wingtips for a job interview or high heels for a party to basketball sneakers or walking shoes. Let’s say the answer is dressy shoes. Now, where to buy them? We decide to visit the local mall. There are many options as you stroll through the four levels. Then what? Price? Selection? Service? Your buying criteria and how you prioritize them may lead you into or out of Coach (small selection of their own, luxury brand) or Lord & Taylor (“service, quality and, most of all, style”) or or Payless Shoes (“get great deals on shoes”). You decide you want a designer look. Lord & Taylor has something that might work but not in the color you want. Nordstrom’s? A friendly salesperson helps you find another good candidate, in the color you want and that hard-to-find half size. But the price! Maybe Payless will have something. You pop in and immediately are overwhelmed by the disheveled racks of shoes. Not likely to have something you want, you decide. You’re headed back to Nordstrom’s when you remember that there’s a DSW Designer Shoe Warehouse (“The latest shoes at great prices”) just a few miles away. Off you go. I choose to take that as a compliment. 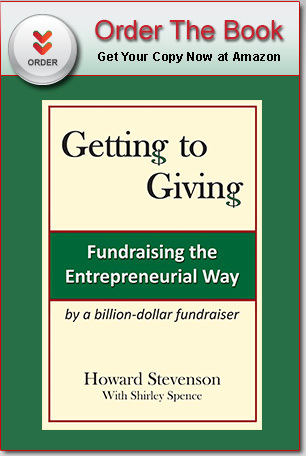 Hopefully, the message came across that that fundraising is not about begging but rather about understanding the customer and, if you have something they want, providing an easy and enjoyable opportunity to help you advance your mission. Fundraising Q&A: I am being told that we need to take a completely different approach with millennial donors. Do you agree? 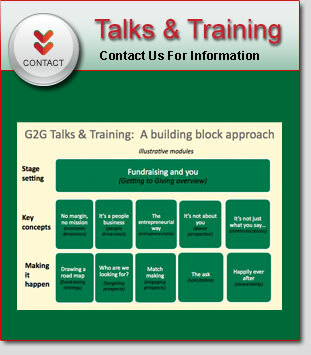 Fundraising Q&A: Your blog on the importance of communications was very helpful. Any new tips?